Great food is the passion of the Greeks. It is true that they are tempted by the beautiful meze, ideally baked, juicy fish, baked lamb with potatoes, and a glass of ruby wine or a fragrant piece of baking. Greek dishes are passion, celebration, cultural expression and even the manifestation of personal and family memories. 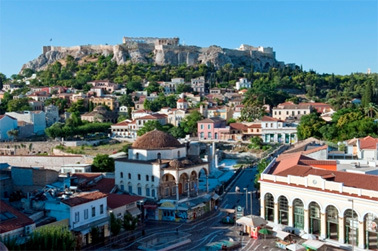 So, are you already hungry, then we invite you to travel to the restaurants of Greece and its best taverns (Golden Caps, Greek Cuisine Awards, Premiums of the High Gastronomy, Michelin Star. Lefteris Lazaru is not only a symbol of gastronomic Athens, but also a creative chef, who is constantly evolving. His dishes embody aesthetic simplicity and refinement of taste, while preserving amazing taste and interesting combinations. An interesting new dish is a bream baked with bread, accompanied by a musk eggplant, colored with ink that hides the red color of the Florinian pepper. The victory of "Spondi" on the Greek culinary scene is not accidental. Under the leadership of the famous chef Eric Frechon (3 stars Michelin) and led by Arno Bignon, the restaurant seeks to get another Michelin star this year. In this beautiful institution they’ve picked up an amazing collection of cheeses, sweets, an excellent selection of wines and beverages, the best in Greece. 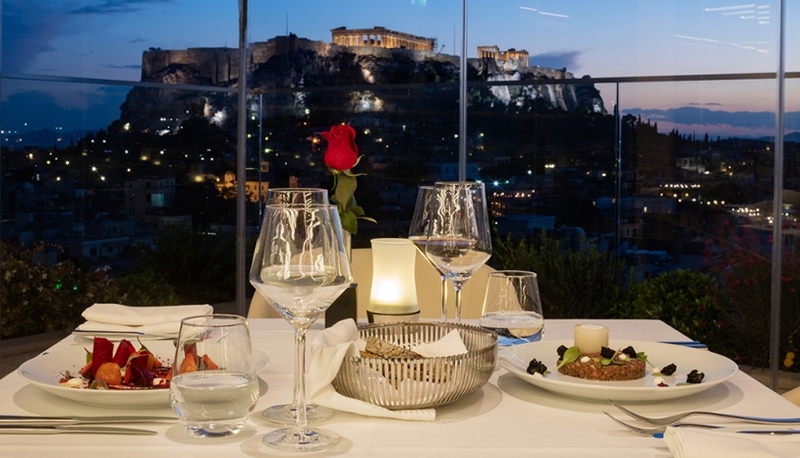 A wonderful view of the Acropolis and the award-winning "Golden Cap" by the chef Giorgos Veneris, creates innovative dishes from your favorite traditional products and represents a kitchen with a deep taste. What else is needed for happiness? Only the best ingredients, used in the restaurant, emphasize the refined aspect of Greek products. Papaioannou Ideally fried, skillfully cooked on the grill, fresh, tasty and pleasant surprises in the combination of products. What else can you expect from the best fish restaurant in Athens? With the Acropolis on the pedestal, the restaurant on the hill of Philopappa, surrounded by pine trees, creates the perfect backdrop for a magical dinner. As for the glorious history of more than 40 years of work, during which the most important figures of Greece and abroad, who met here, Dionysos continues to develop and becomes a classic and leading place of hospitality. It combines a unique location with a stylish interior and, of course, high-quality cuisine thanks to the well-deserved chef Michalis Dunet.